Miguel Ivan Lacerda de Oliveira from the Brazilian Ministry of Mines and Energy gives an impassioned presentation while Jeff Skeer, IRENA, moderates the session. The “magic plant” in his fairy tale – or magic plants, or trees, or seaweed, or magic waste, for that matter – represents, in the hypothetical world where bioenergy policy appears to be forever trapped (more on that later), the future discovery of a wonderful organism which can be efficiently converted to any and all forms of final energy at highly competitive prices. In Lacerda’s telling (or an extended facsimile thereof), a rural farmer – somewhere around the Amazon basin – happens to notice one day a new weed spreading like wildfire around the perimeter of his cropland. Not only this, but his sugarcane crops in direct contact with the weed have grown twice as high as the rest of the field. The intellectually curious man that he is, he decides to harvest some of this alien shrubbery as best as he can, supplying some to his business partner, the local bio-processing and biofuel production plant, while transplanting the rest across certain sections of his plantation. To their pleasant bewilderment, one tonne of pre-processed (wet) feedstock could produce twice the ethanol or triple the renewable diesel as a tonne of dried sugarcane, and the intercropped segments of his farm were ready for harvest twice as quickly as his monocultured fields! The business partners introduced their magic plant to biofuel facilities all across Brazil, and within a year the domestic biofuel production tripled. The price per liter was already approaching that of sugarcane-based fuels and projected to undercut petrol prices within five years. Cradle-to-grave life cycle assessments (LCA) consistently reported net negative greenhouse gas (GHG) emissions and minimal environmental impacts. 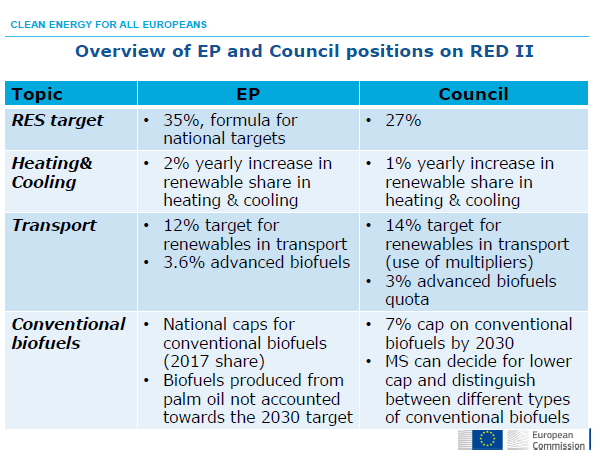 This graphic prepared by Eurostat and presented by Giulio Volpi of the EC’s Directorate-General for Energy (DG ENER) shows the shortcomings of the RED in spurring biofuels growth. The country’s largest biofuels producer could hardly contain its excitement as it commenced negotiations with EU partners to export both the surplus fuels on hand and the magic seeds of this most incredible plant. “I’m sorry, but what in the world is this thing?” came the collective reply from the EU biofuels industry. “I don’t see ‘magic plant’ listed here in Annex IX of RED II”, referencing the updated Renewable Energy Directive which European Union (EU) legislators are aiming to finalize by the summer of 2018, one of the primary reasons for this spate of bioenergy conferences in the European Commission’s backyard. 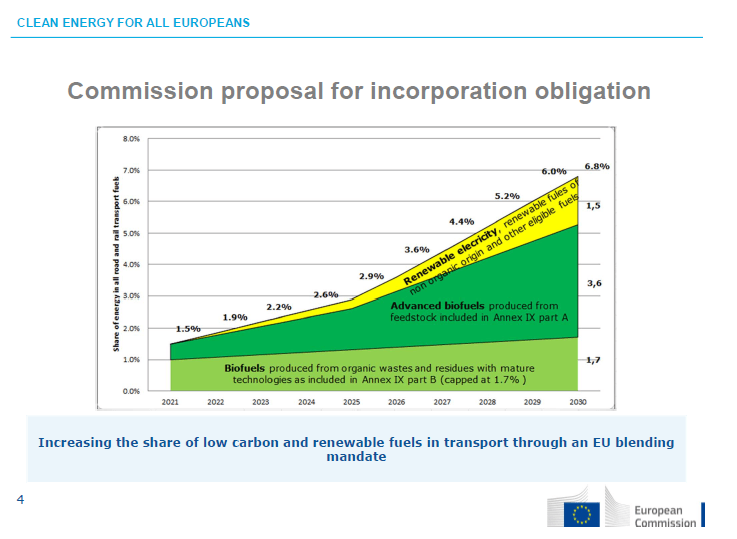 This slide from DG ENER highlights the monopoly enjoyed by oil in the EU transport fuels market. And yet, the Commission has diverted its attention to the uncertain risk of ILUC from biofuel production (while ignoring any ILUC effects of oil production and spills). The EU bioenergy producers thus concluded that magic plant fuels would not be a worthwhile investment since they would not even single-count toward the RED target, as the 7% limit on “conventional” biofuels had already been reached, and thus there would be no possibility of public funding for their endeavors. Slightly discouraged, the Brazilians then took their magic plant to the European Commission (EC), convinced that they simply needed to pass an amendment to Annex IV. Indirect land-use change (ILUC), has taken the biofuels policy debate by storm, and nowhere so intensely as in the EU. A play-by-play of the topic’s representation at the conferences can be found in the second installment of this feature, to be published next week, detailing numerous challenges to the EU’s position. Still intrigued nonetheless, the EC decided to finance a three-year study on the magic plant’s ILUC and biodiversity impacts. An equivalent investment would have sufficed to reclaim land for magic plant farming, to train farmers on intercropping techniques, and to retrofit dozens of bioprocessing plants for optimal efficiency, but the EU is determined to only provide support for unequivocally sustainable technologies. Three years later, the verdict was finally in. A variety of studies using a variety of models which rely on a variety of assumptions had come to a variety of conclusions. This uncertainty, theoretical and subjective though it may be, is considered cause enough for concern by the EC that the 2029 draft proposal for RED III would stipulate that the magic plant – despite its most magical properties arising when intercropped – shall only count toward 2040 targets if grown on marginal or reclaimed land. And just like that, the EU killed the magic plant. While yield-doubling intercropping became the norm across Brazil and existing co-located infrastructure was leveraged to drastically mitigate capital expenditure, stranded assets and transport costs, the magic plant struggled to attract a single Euro of investment across the pond, and fossil fuels would continue to dominate the EU transport sector as policymakers patiently await full electrification. The bioeconomy boomed across South America, and country after country surpassed their Paris Accord NDC’s (nationally determined contributions), but the globally coordinated effort and massive bioenergy scale-up necessary to achieve the 2oC target was hardly any closer to becoming a reality. An especially formidable reason for this is that an eerily similar story can be imagined for the magic plant’s experience in the US, where every individual pathway for renewable fuel production must be explicitly approved for admittance to the Renewable Identification Number (RIN) system of the Renewable Fuel Standard (RFS), a process which takes an average of 2.9 years on the most recent accounting. 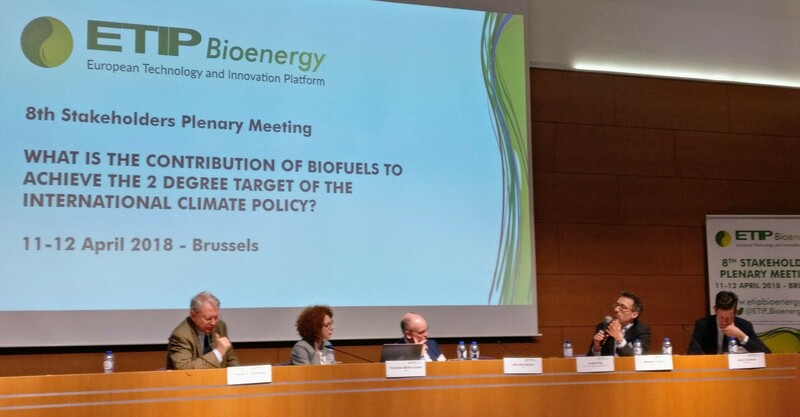 The overarching moral of the story is that we must be wary when crafting policies both supporting and regulating bioenergy such that they don’t result in the lock-out of new technologies from the market. The magic plant is of course an exaggerated amalgamation of the most desirable qualities of a bioenergy feedstock, but Lacerda’s story was not simply a mood-lightening, attention-grabbing rant. Instead, the trials of the magic plant are rooted in reality, and this elegantly crafted tale captured just about every major topic on the conference agenda. Unfortunately, the wide-ranging reasons for the ultimate lock-out of the magic plant also describe the current lock-out forces facing established biofuel technologies today. Renato Godinho, interim facilitator of the BioFuture Platform (right), gives his presentation as Kyriakos Maniatis, Principal Administrator of New Energy Technologies Innovation & Clean Coal at DG ENER and the coordinator of the conference (left), looks on. Fellow Brazilian Renato Godinho, the Head of Renewable Energy of the nation’s Ministry of Foreign Affairs, concisely highlighted the five consensuses emerging from international research and industrial cooperations. Also serving as the interim facilitator of the BioFuture Platform, an international cooperation between 20 nations leading the bioenergy charge (technically 19 at the moment as the US has delayed ratification) conceived at COP22 Marrakech with the mission to “accelerate the transition to an advanced, low carbon, global bioeconomy,” Godinho is certainly well-qualified to make such a claim. These five items are listed and discussed below; two will be analyzed in this article and three in a continuation next week. Consensus #1: Whether we like it or not, bioenergy must be massively scaled up. 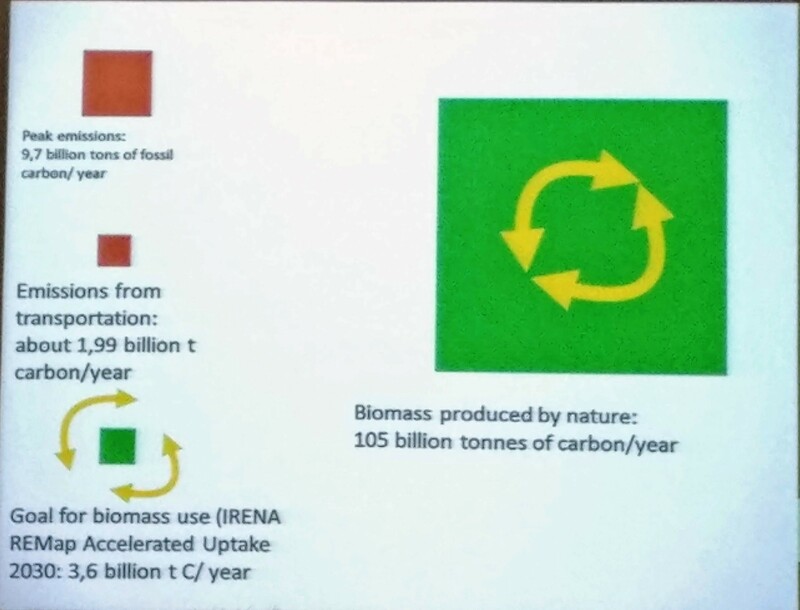 BioFuture Platform’s acting coordinator Renato Godinho’s simple and elucidating graphic on the question of biomass availability and requirements. He started his answer his own question with a simple yet powerful graphic. Each year, nature produces 105 billion tonnes of carbon. This is a mammoth figure compared to the annual emissions from transportation (1.99 billion tC/yr) and the 2030 goal for biomass use of (3.6 billion tC/yr) set by IRENA. Of course it’s only a certain percentage of that naturally renewed biomass which is available for use, but seeing as we are only proposing to tap into a miniscule portion (3.6 billion tonnes out of the 1.26 trillion tonnes produced over the next 12 years), we can stop wasting time and money now on studying biomass availability. The final conclusion was that, with the right measures, of course we are capable of scaling up bioenergy to the necessary volume. IRENA’s Director of Innovation and Technology, Dolf Gielen, and Senior Programme Officer for Technical Cooperation, Jeff Skeer, later presented their study published the week following the conference (April 18) and alluded to above, which asserts that biomass is the most important source of renewable energy in the world. The main finding was that renewable energy accounts for 90% of the worldwide defossilization potential by 2050, and biofuels represent 37.5% of the cost-effective RE potential in 2050 across the globe. 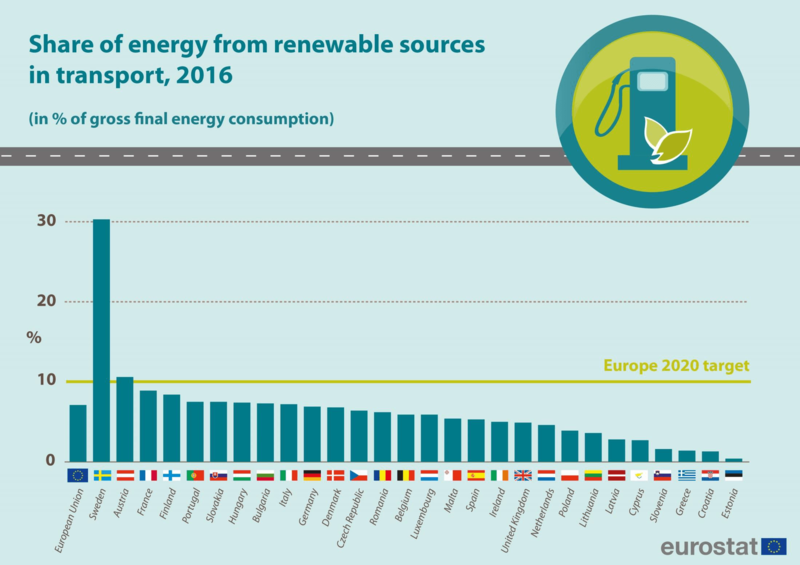 Within Europe, a whopping 50% of the cost-effective RE potential by 2030 is bio-based, as biofuels should command 33% of the transport fuels market. Reiterating Godinho’s point, these figures are well within physical reach because, by their estimates, the global supply potential of sustainable biomass is 500 EJ while the 2050 target requires just 87 EJ. Volumetrically speaking, this translates to 900 million liters of biofuel in the global energy supply by 2050 – about 450 million liters each from conventional and advanced feedstocks by their projections – meaning a six-fold increase over today’s supply. To achieve this volume, the biofuel industry must see a five-fold acceleration in annual growth, the sooner the better of course. 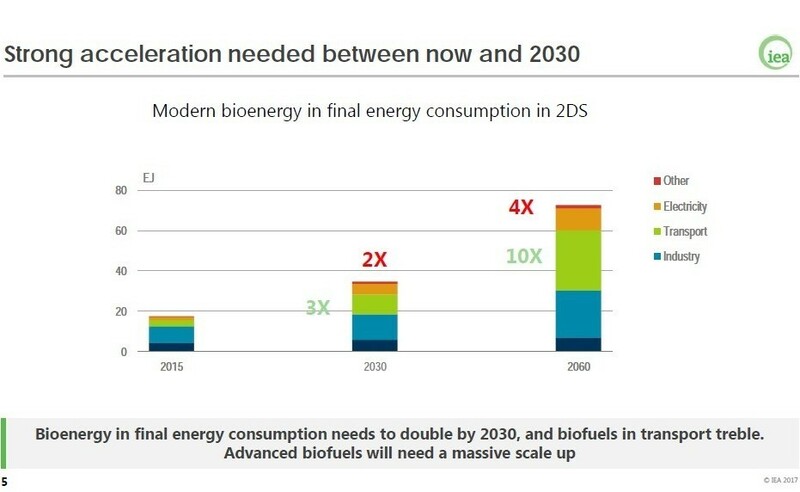 Dr. Paolo Frankl of the IEA presented the large increase in bioenergy necessary by both 2030 and 2060 according to the IEA Bioenergy Roadmap 2017. 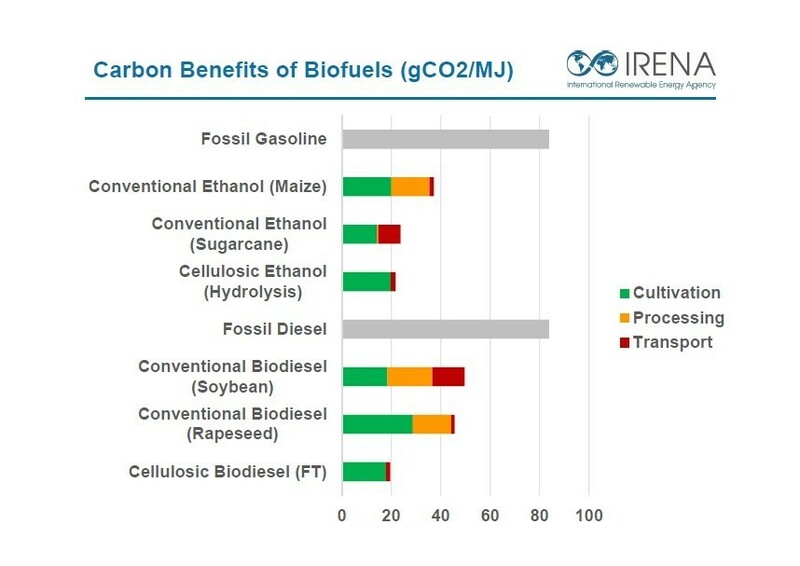 The IEA released a sister publication to the IRENA study on the same date which arrived at very similar metrics, in particular that RES represents 75% of the global decarbonization potential by 2050, and that biofuels account for about 30% of that total. The 15% gap between the two agencies’ reports is due to the IEA’s projection of a more rapid uptake of carbon capture technologies. However, the bottom line is clear, he explained: we are going to need a lot of renewable energy, and fast. Frankl echoed IRENA’s innovation director’s call for at least a 5-fold increase in annual biofuels growth rate, and added that advanced biofuels, for all the political hype around them, will need to shift into overdrive with a 10-50x growth rate acceleration, depending on when exactly we begin to see this trend. At the second conference of the week, the Eighth Stakeholder Plenary Meeting (SPM8) of the European Technology and Innovation Platform (ETIP, a reference forum on bioenergy for the EC’s Directorate-General for Research and Innovation), Frankl’s IEA colleague Dr. Adam Brown further added that the global transport sector needs a 3-fold increase in biofuels by 2030 to remain on pace for the 2-degree scenario (2DS). It is important to note, in my opinion, that the IEA’s 2DS actually only represents a 50% probability of staying below 2oC warming by 2100, meaning that an even greater and faster scale-up will be necessary to give ourselves a better chance at climate goals than a coin flip. The hard numbers and the IEA’s proposals for how to achieve them can be found in the IEA Bioenergy Roadmap 2017, which to their credit also includes a “beyond 2o scenario” (B2DS). In the face of these daunting challenges, both Frankl and Brown offered some words of encouragement. 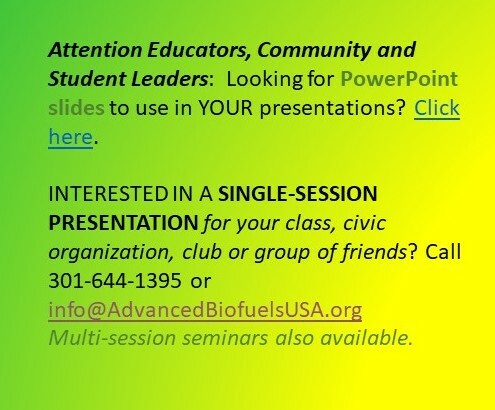 In terms of how such a massive market movement might look, Frankl – along with several other speakers at the conferences – offered that advanced biofuels ought to attempt to replicate the success of solar PV. In Germany, the price-per-watt of solar power has decreased by 90% since feed-in tariffs were implemented in 2004, exalted Dr. Hermann Pengg, Audi’s Head of Project Management in e-fuels. Political and social will are prerequisites for such a rapid transition, but well-designed legislation can and will stimulate the necessary investments and action. For his part, Brown presented an outside-the-box metric showing that the buy-down cost of all the advanced biofuel plants we will need for the IEA’s 2050 target amounts to *just* $100 billion, a measly 0.5% of the $200 trillion that the world happily spends every year on fossil fuels today. Thus, the issue with biofuels for investors isn’t the cost, but rather the associated risk, largely stemming from regulatory uncertainty and sensationalized public debate. ETIP Bioenergy Platform Chair Patrick Klintbom (far right) moderates a panel discussion between Hermann Pengg of Audi (second from right), Nils-Olof Nylund of VTT (third from right), Franziska Mueller-Langer of the German Biomass Research Center DBFZ (second from left), and keynote speaker Thomas B. Johansson of Lund University (far left). Consensus #2: Divisions in the bioenergy debate are being healed by advancing knowledge. This voiced the predominant sentiment among conference attendees, not the least of whom included magic plant advocate Miguel Ivan Lacerda in his assertion that the categorization between 1g and 2g biofuels is detrimental and arbitrary. Though perhaps unnecessarily abrasive and alienating toward the billions of people of faith around the world – better proposals for the wording of this concept, which became widely adopted by the conference’s second day, include “dogmatic vs. agnostic” and “simple vs. complex” – his point is well taken in context. If your religion is to value sustainability above all, then please, by all means, practice and preach. Unfortunately, misinterpretations can sometimes dominate and define a religion. There is no rationale, as far as the climate is concerned, for discriminating against biofuels for any reason other than emissions reductions. A feedstock doesn’t produce better ethanol, more money, or greater energy security simply because it’s newer and uses “advanced” conversion technologies. Even the magic plant didn’t purport to produce a higher quality fuel; its biophysical properties just happen to allow it to produce a higher quantity more efficiently. Jeff Skeer of IRENA presented this slide comparing the LCA CO2 emissions across different transport fuels. To this day, however, no feedstock has yet to be proven – in practice, that is – to be more efficient and sustainable than sugarcane, a “first-generation, conventional, food-based” crop. And yet, these labels have spread a religious doctrine against this environmentally and socioeconomically friendly agricultural product to the point where the EU originally proposed to phase it out altogether as part of RED II. 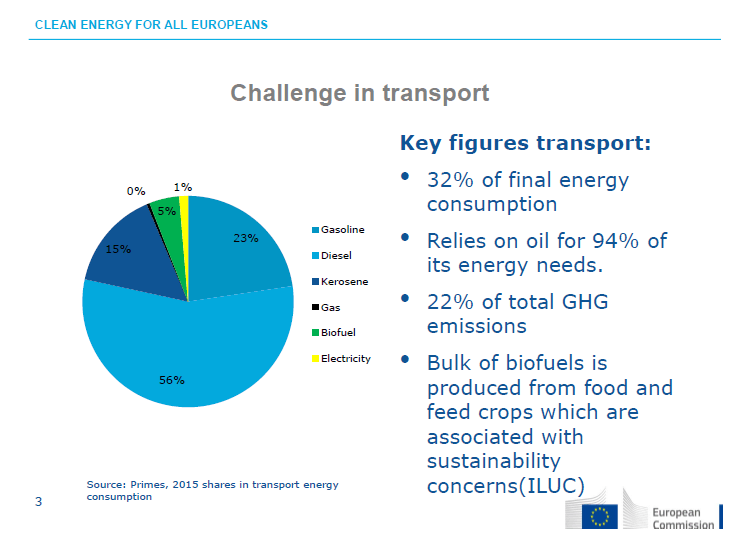 Now in the final trilogue of negotiations between the EC, the Council of the EU (Council), and the European Parliament (EP), the law-to-be is all-but-settled instead on a 7% cap on the share of “food-based” biofuels in the transport energy mix by 2030. Every EC representative in attendance at the week’s string of gatherings – barring Maniatis of DG Energy – was eager to point out that this regulatory limit doesn’t explicitly discourage fuel producers or member states from pursuing far greater volumes of 1g biofuels, and that the EU’s stance is simply to provide targeted support for those technologies which are unequivocally sustainable (i.e. 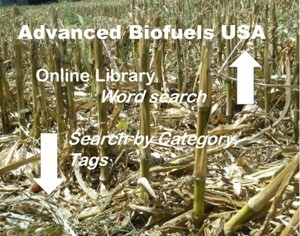 Annex IV-listed biomass). Godinho was one to openly criticize this EU position, stating that we don’t have the luxury anymore to forego any marginal reduction of GHG emissions. 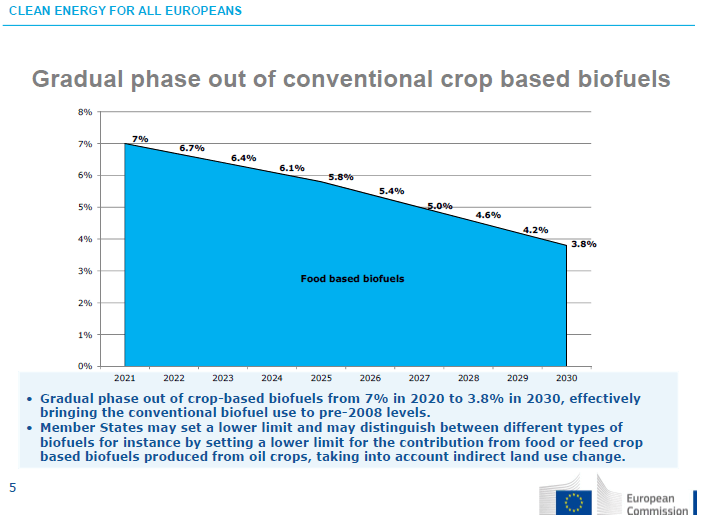 Bernd Kuepker of DG ENERGY presented this slide depicting the EC’s proposal to gradually phase out 1g biofuels. This was fortunately rejected in favor of placing a 7% cap on such fuels. The irony of the EU, as illustrated by the magic plant example, is that the RED’s list-based approach only reinforces the dogmatism surrounding “EU-quality” fuels and can facilitate the lock-out of the next-generation feedstocks, let alone the currently market-ready options. Or, the opposite future is also conceivable, in which the magic feedstocks of tomorrow are so promising that Annex IX is completely overhauled in their favor, once again cutting off the “old news” technologies from funding. It’s hard to imagine, however, that the EC hasn’t received an earful from investors, whose worst nightmares consist of politically-planned booms interrupted by politically-forced busts. While the investment quagmire may be the single greatest barrier to bioeconomy scale-up, and while it is certainly a symptom of this regulatory uncertainty, the primary cause of the legislative walk-backs was the classic bioenergy debate of “fuel vs. food” and its effect on public perception. This is a debate that all representatives of international organizations were ready to quash, and which only the EU legislators in attendance still appeared to dwell on. Brown, for one, instigated that there is “no such thing as ‘food-based biofuels,’” because the competition at the end of the day is over land use, not food supply. An even more powerful condemnation of this overblown topic was the fact that Olivier Dubois, Senior Natural Resources Officer and Coordinator of the Energy Programme at FAO – the FOOD and Agriculture Organization – could be seen leading the charge against the EU’s war on conventional biofuels. These food crops under such heavy scrutiny are actually “flex crops,” as he terms them, which empower farmers, communities, biorefineries, investors, governments, and society at large to decide how to best utilize them at any given time. “Food and fuel, not food vs. fuel,” is where the EU should really be taking this impassioned dialogue, Dubois exclaimed. The current state of RED II negotiations between the EC, the EP and the Council. The lack of ambition in the transport sector was frequently pointed out by conference attendees. Now, I hesitate to call the food vs. fuel debate the root cause of the issue because its genesis can in turn be traced back, according to some, to a joint misinformation campaign by (surprise) the American Petroleum Institute (API) and the Grocery Manufacturers Association (GMA). A proper investigation into the validity of this claim and similar ones to illuminate the sponsors behind each of the other debates that have carved dividing lines within and around the biofuels industry are obvious next steps if we hope to ever put these debates to rest, in my opinion. Though not directly in reference to these sensationalized anti-biofuels talking points, this cry for us to remain vigilant against the flow of “dark money” was the closing argument of the keynote speech at ETIP SPM8 given by Prof. Dr. Thomas Johansson of the International Institute for Industrial Environmental Economics. Factual, tangible, relatable and ultimately shareable evidence against the powers acting discreetly against the public interest must be widely disseminated to combat the ever-expanding phenomenon of fake news propaganda. 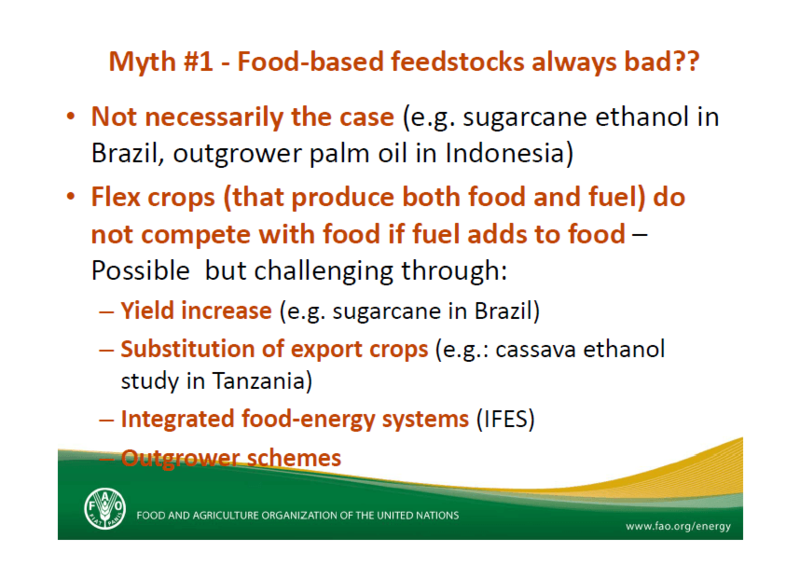 Olivier Dubois of the FAO led off his presentation by dispelling some commonly propagated myths surrounding biofuels. The first myth was also the foremost. While it is certainly encouraging that opinions and research within the international biofuels community is converging on positive, rational consensuses, we must remember that this is but the first step toward realizing the goal of developing an environmentally and economically critical bioeconomy. 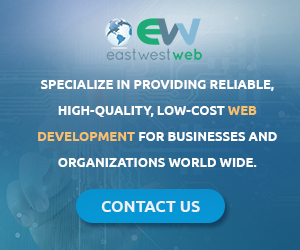 He proposes that next year, when the EC and international organizations round us all up again, we make sure to personally deliver a cordial invitation to the European Investment Bank, the World Bank and other major financial institutions. With legislation leaning the wrong direction, these investment firms have the power to supersede political will rather than to simply follow it. Maniatis, conference coordinator and member of the EC, added further that there was a glaring absence of any representation from the EP at these lively discussions. It will have to suffice for this year to send a rapporteur their way with the main takeaways. 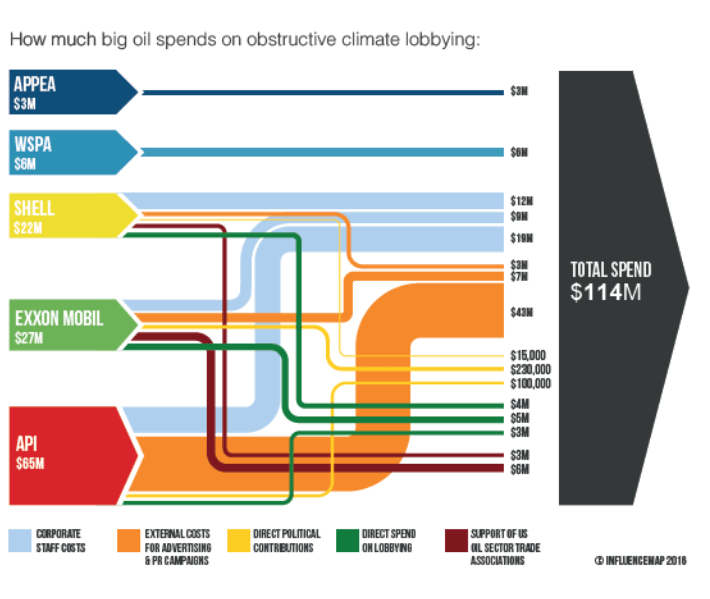 London-based research group InfluenceMap “followed the money” to produce a 2016 study on the political expenditure of just 5 major oil interests and just how that dark money is spent. Their rough estimate of the total annual budget devoted to obstructive climate lobbying worldwide was “in excess of $500 million”, and this likely does not include SuperPAC contributions in the US. In contrast, they estimate that pro-climate policy lobbyists spend less than $5 million per year. He then turned his attention away from the Parliament and toward his fellow EC members. It certainly was interesting, he remarked, “that the Commission representatives didn’t stay for any discussions [after delivering their presentations].” It sends a clear and unbecoming message that the EC is now closed off from stakeholders after their position – printed in the RED II draft proposal – is fixed. Fittingly, not a single EC member was in the audience to hear these closing remarks from the nearly 30-year veteran of the Commission. Let this be an adage for us all. Please don’t hesitate to share this article or any other science- and truth-based news with friends, family and coworkers who might not be as up to date on the subject. The magic plant isn’t going to save itself! Watch for Steve Bi’s reporting and analysis of the remaining three of Renato Godinho’s five consensuses emerging from international research and industrial co-operations next week. Part two of this article will delve into three more consensuses emerging from international collaborations. 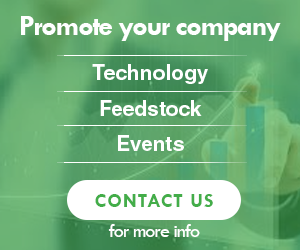 Among the topics to be covered are ILUC, LCA and investment activity and risks in the biofuels industry, easily the most frequently and fiercely debated items at the affair. *Steve Bi is a graduate of the Centre international de formation européenne’s (CIFE) Master in Global Energy Transition and Governance and writes for Advanced Biofuels USA, particularly on policy developments in the EU. Photos: Steve Bi; slides from referenced presentations. Click on photos and graphics to enlarge them. Updates made 4/27/2018 to add graphics.